When people register you can display a custom message at the top of the Account Setup and Member Selection screens. These are customizable for each registration. To add/modify these informational messages to either or both screens follow the steps below. Click Add New or click the name of a registration to edit. 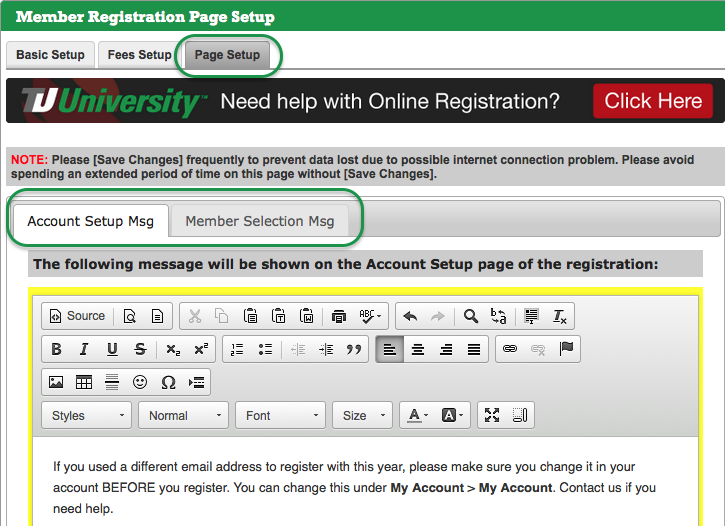 If this is a new registration, you will need to complete the information on the Basic Setup tab, click Save Changes, then click the name of the new registration. Add your message to either or both the Account Setup Msg tab and Member Selection Msg tab.